1. Use PP Plastic + Oak Wood, High-quality, durable and water resistant. 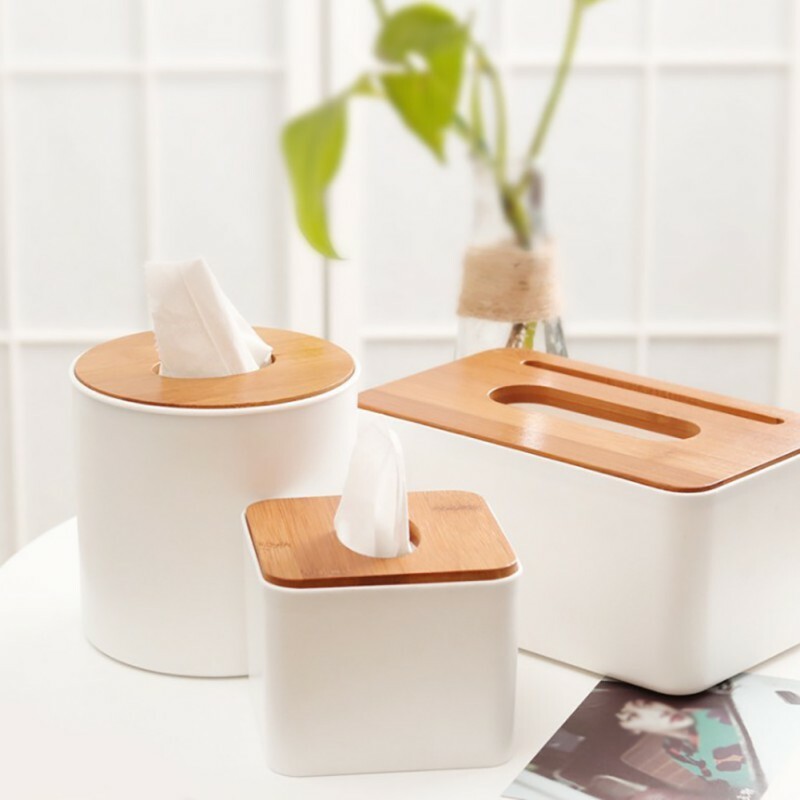 2.Unique Design: Modern and simplicity style, white container + wooden color cover, beauty and practical, so perfect decoration in your home. 3. Keeps tissues clean and dry on the bathroom vanity or desk. 4. Providing you many different styles, multiple shapes design are available for your different choice.